If you've noticed your digital camera's battery power not lasting quite as long as it used to, that's not a surprise. Rechargeable batteries tend to lose their ability to hold a full charge as they age and are re-used. Losing digital camera battery power is a frustrating problem to have, especially if your "battery empty" light flashes just as you prepare to take that once-in-a-lifetime photo. These tips and tricks should help you gain a little extra digital camera battery life ... even from an older camera battery. If your camera has an optical viewfinder (the small window at the back of the camera that you can use to frame images), you can turn off the LCD screen and only use the viewfinder. The LCD screen has large power demands. Try to avoid using the flash, if at all possible. Continued use of the flash also drains the battery quickly. Obviously, there are some situations where a flash is required to create the photo, but, if you can shoot the picture with the flash turned off, do it to save some battery power. Do not spend a lot of time reviewing your photos. The longer you have the LCD screen on -- while you aren't actually shooting photos -- the faster your battery will drain in comparison to the number of photos you can shoot per charge. Spend more time reviewing your photos later when you return home and you have a fresh battery. Use your camera's power saving feature. Yes, we agree that this feature can be extremely annoying at times, as the camera goes into "sleep" mode when you haven't used it for a set period of time. However, it does work to conserve battery power. To achieve the most battery power savings, set the "sleep" mode to kick in as quickly as possible. With some cameras, this can be after as little as 15 or 30 seconds of inactivity. Turn down the LCD's brightness level, if your camera allows this. A brighter LCD drains the battery faster. A dimmer LCD is more difficult to see, especially in bright sunlight, but it will help extend your battery life. 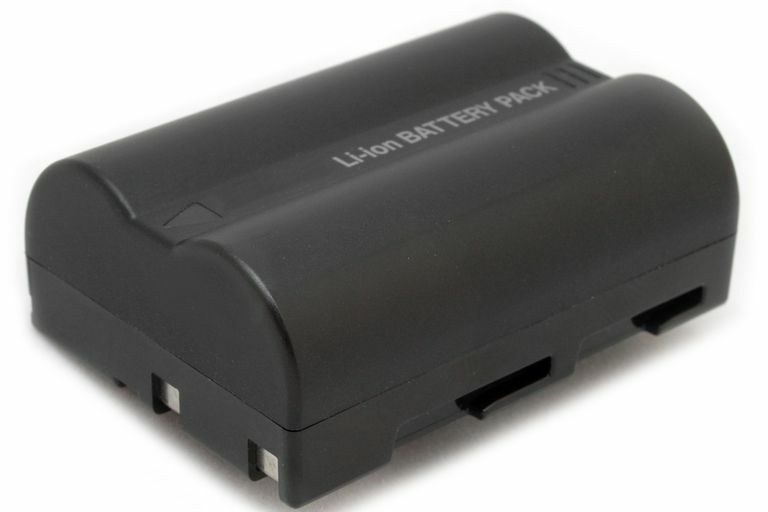 Don't believe the claims of the manufacturer about how much life your batteries should have. When testing the battery life of their cameras, most manufacturers will conduct their measurements in perfect conditions, something you likely cannot recreate in real-world photography. If you're able to achieve at least 75% of the battery life that the manufacturer claims, that's a good starting point. To obtain the longest life from your batteries, don't fall for the myth that says you should fully drain the battery before recharging it. In reality, a battery has "X" number of hours of use in it. If you're using some of those hours to simply drain the battery, it won't last as long over its lifetime. Just use the battery normally, and charge it when the battery needs a charge or when you're done shooting. A partial charge isn't going to significantly affect the life of the modern battery. That may have been the case with rechargeable batteries from several years ago, but it's not true with newer batteries. Each time you restart most cameras, the introductory screen will appear for several seconds. Although this doesn't seem like much time, if you turn the camera on and off 10 times, you'll probably lose at least a minute of battery power, which may be the difference between snapping that last great photo and seeing the "battery empty" message. Use the "sleep" mode instead, which we discussed earlier. Finally, because all rechargeable batteries tend to hold less power as they age, you may simply want to purchase a second battery and have it charged and available. If you find yourself constantly altering your photography habits to try to conserve power with an older battery, you're better off buying a second battery as a backup or an "insurance policy."